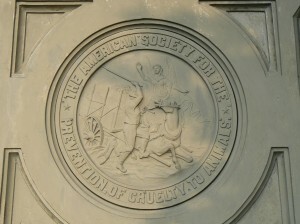 The founder of the American Society for the Prevention of Cruelty to Animals was honored with a monument in Bridgeport’s Seaside Park thanks to showman and former mayor P.T. Barnum. 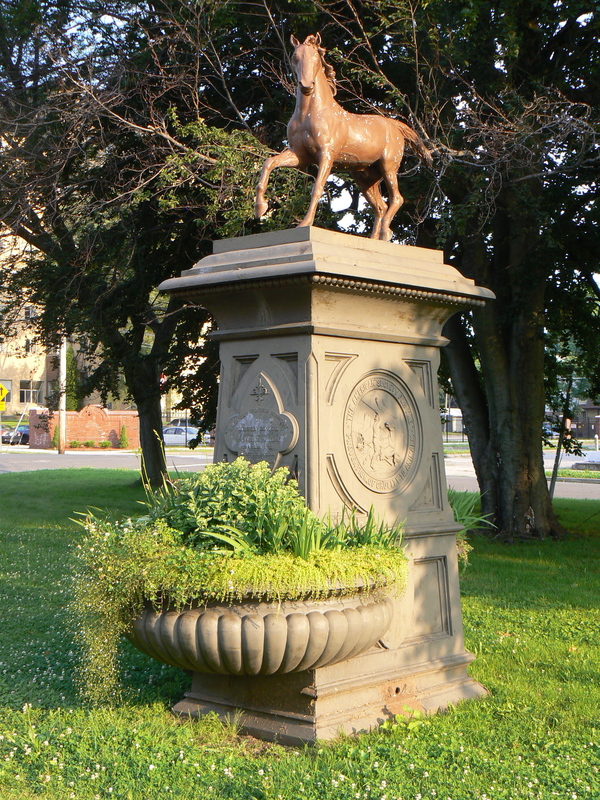 The monument, a fountain that was later converted into a planter, was dedicated in 1897 to honor Henry Bergh’s lifelong efforts to protect animals. 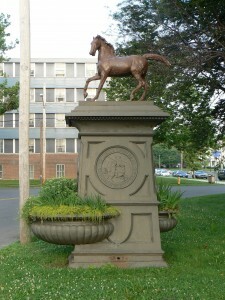 Bergh is honored with a dedication on the front (south) side, above what used to be one of the fountain’s two water troughs. Images on the east and west side depict an allegorical angel rescuing a horse from being struck. 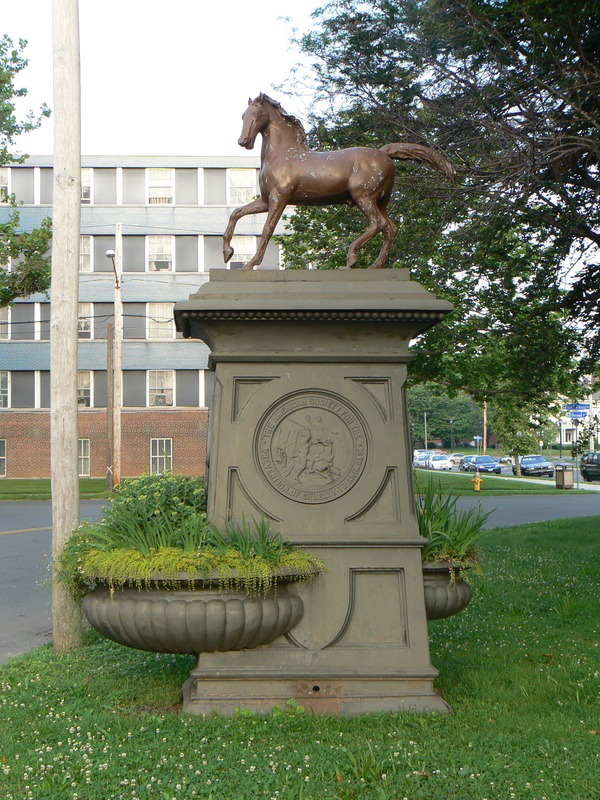 The monument is topped by a plaster horse that is a replacement for a similar horse that, according to a 1967 profile of Bergh in American Heritage, was damaged when the monument was struck by a car in 1964. 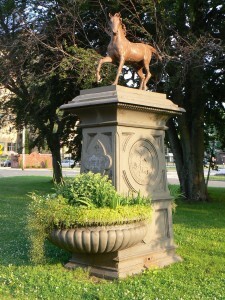 Bergh founded the ASPCA in 1866 after seeing a similar organization during a visit to London. 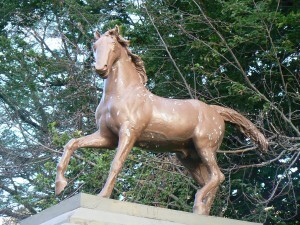 Returning to New York City, Bergh found the ASPCA and began advocating for the fair treatment of animals such as the horses who pulled carts and the livestock that were slaughtered in the city. Bergh also devoted attention to protecting the animals used in Barnum’s circus performances. Although Barnum initially considered Bergh a pain, the two men developed a mutual respect that eventually grew into a friendship. 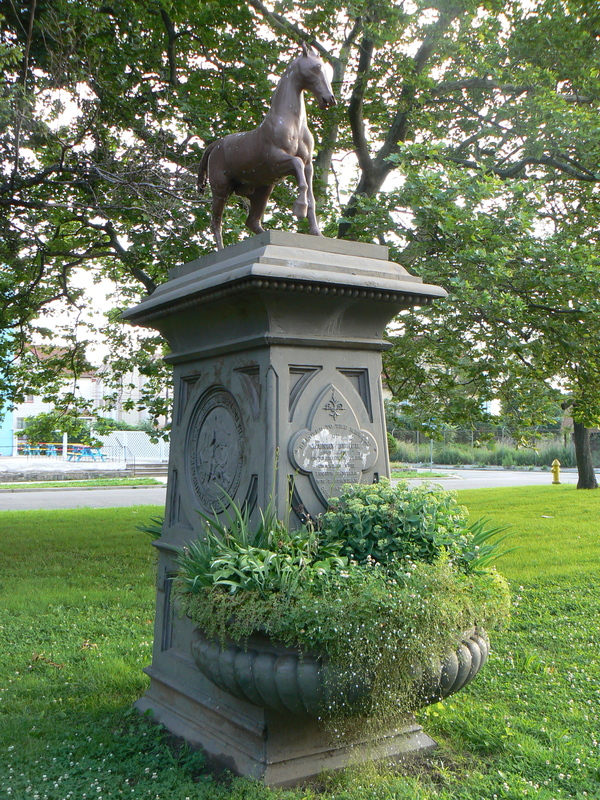 Upon Barnum’s death, he willed funds for a fountain to be built in Bridgeport to honor his friend. Thank you for this glimpse of living history. I am a Unitarian Universalist Religious Educator. I am researching the relationship between Barnum, a Universalist and Bergh, a Unitarian. Finding this monument has been very helpful!